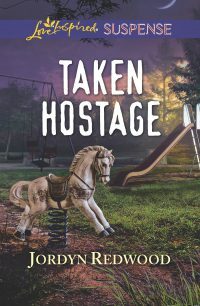 When neurosurgeon Regan Lockhart’s daughter is kidnapped, the abductors want to make a deal for the little girl’s life. If she wishes to ever see her child again, Regan must hand over the virus she uses in a radical cancer treatment. But bounty hunter Colby Waterson can’t let her trade the cure, which is his sister’s last hope. He’s already lost a wife and baby, and he won’t lose anyone else. But when a mistake leads both him and Regan into the hands of the bad guys, the kidnappers up their demands. Now Regan must create a biological weapon or her daughter dies. For Colby, no case has ever been this personal. He’ll need every skill he’s got, because only he can save both his sister and the woman he’s growing to care for.